We continue our readthrough of Jim Butcher's uber-popular urban fantasy series The Dresden Files today with book fourteen, Cold Days. The continuing plan has been to do a book a month on the first Tuesday of each month, and with the final released book scheduled for us for next month, we're at least set through the end of 2014. 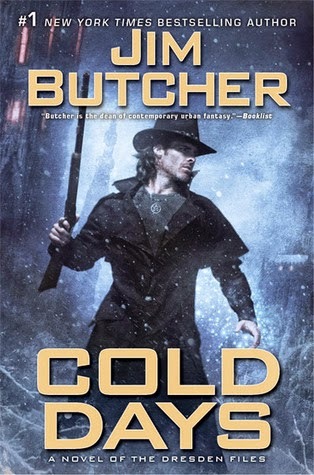 As for Cold Days, it may have already supplanted the previous book as my new favorite in the series, even with its questionable ending.